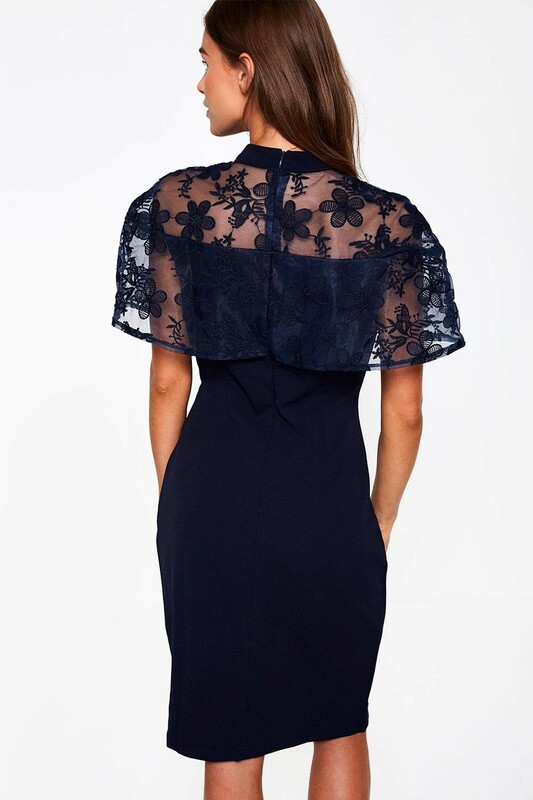 Make an entrance at your next occasion in this stunning caped fitted dress. Match with a simple sandal and clutch. Let the dress do the talking!